AHPD Sketch: Male/White Offender, 30-40 Years of Age (YOA), 5’7″ with dark hair, balding, wearing black gloves, a tan jacket, dark pants, and a backpack. 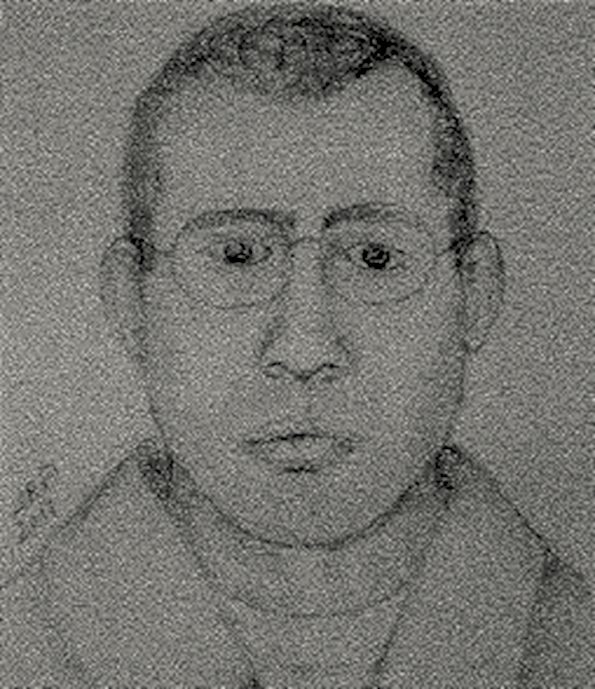 Arlington Heights Police Department have released a sketch of a burglary suspect while investigating a residential burglary that occurred on Tuesday, October 18th, 2011 in the 2000 block of Spring Ridge Drive. The suspect was observed talking on his mobile phone in front of the victim’s single family residential home in the Lake Terramere neighborhood just prior to the burglary. The incident was reported as a burglary in progress at about 4:15 p.m. Tuesday, October 18, 2011. The suspect was reported to have been observed by a neighbor inside the victim’s residence, and was also observed leaving the residence carrying a backpack after an unspecified time interval. He was also reported to be last seen walking northbound on Bloomington from Nichols. Items reported stolen include a laptop, jewelry, cigarettes and liquor. At least three other residential burglaries have been reported in area in the last week. Wednesday about 4:11 p.m. a residential burglary was reported in the 4000 block of Newport Lane. Monday a residential burglary was reported in the 1800 block of Spring Ridge Drive. Saturday a residential burglary was reported in the 400 block of Whitehall Drive.